June 21, 2017 | By Mark J. Occhipinti, Ph.D.
Not everyone over the age of 50 is as active as these senior athletes. But it’s clear that the Baby Boomer generation (about 77 million people), and even older adults, value quality of life as they age. Regular exercise is important, but diet and nutrition are paramount for healthy aging. Have you ever thought about becoming a Senior Nutrition Specialist? Let’s take a look at how you can put yourself in a position to best serve this unique population. There’s no one-size-fits-all nutrition plan for seniors. But this aging population needs help. An estimated 715,000 seniors are underweight. And more than one-third of seniors are overweight. Poor eating habits over time can lead to malnutrition and other health problems. And there’s usually a variety of contributing factors such as age, mental health, medications, physiological changes, chronic diseases, and lifestyle habits. As a Senior Nutrition Specialist, you can help seniors eat the right foods in the right amount, live longer, and better enjoy their senior years. Ever wonder what a Senior Nutrition Specialist does? There’s more than one way to thrive in this in-demand career field. But your primary focus is understanding the unique dietary needs of seniors, designing meal plans to help seniors improve health and prevent or manage disease, and providing education and encouragement to help seniors develop better eating habits. 1. Enjoy working with seniors. You probably already do if you’re considering a career path as a Senior Nutrition Specialist. But it’s important. Seniors have a wealth of life experiences and their own way of doing things. And you need to appreciate that about this population. Most seniors aren’t going to need a 4,000-calorie-a-day bodybuilding meal plan. But their daily calorie intake and nutritional needs are just as important for health and happiness. 2. 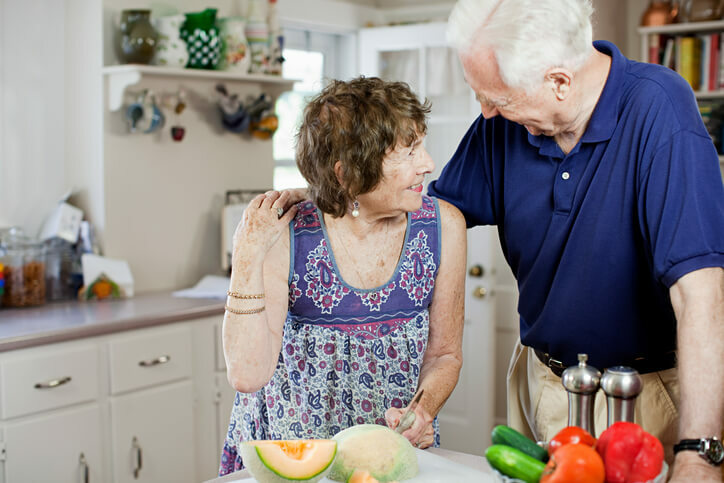 Understand the nutritional needs of seniors. Spanish explorer Ponce de León never discovered the magical Fountain of Youth. No matter how hard you try, the body slowly changes due to the aging process. Metabolism, bone density, and muscle mass typically decrease. Blood pressure typically rises with age. And heart disease, cancer, and respiratory diseases are the leading causes of death for seniors, according to the Centers for Disease Control and Prevention. These are just a few of the unique health challenges that seniors face. As a Senior Nutrition Specialist, understanding the unique dietary needs and health issues unique to this population will help you be successful. 4. Earn a certification. After you’ve done your homework and made the decision to pursue a career helping seniors eat right to improve their health, become certified to start working with clients. The American Fitness Professionals & Associates Senior Nutrition Specialist certification will teach you everything you need to know about the aging process; health risk factors for older adults; and how to design nutrition plans to promote health, prevent disease, and improve quality of life for seniors. Ready to get started? Check out the AFPA Senior Nutrition Specialist Certification and learn more about how to make this exciting change to careers in nutrition and fitness.